One of the most memorable times working here at the Trumpet was during the fall of Egyptian President Hosni Mubarak. All across our headquarters offices, people had the live footage playing, watching the “million-man march” and subsequent waves of protests calling for the strongman’s ouster. Even before Mubarak announced his resignation, we knew we were watching history being made. Daniel 11 is your road map to the future of the Middle East. 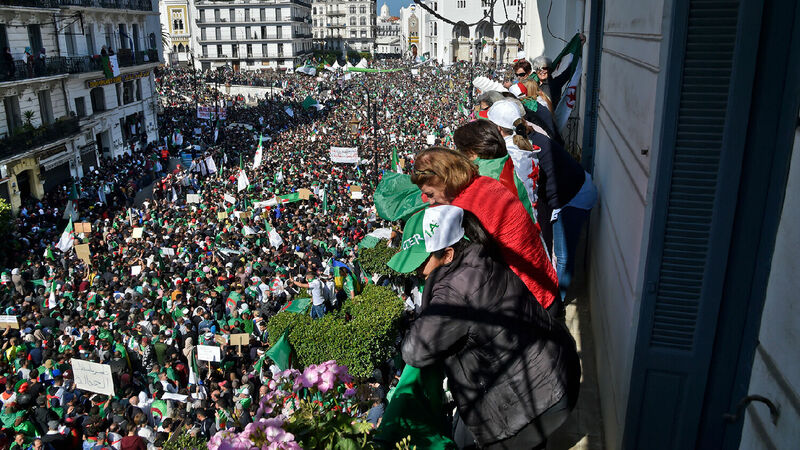 It foretells the clash between radical Islam and Europe—a clash that could soon break out in Algeria if radicals use this opportunity to try and push out the European-supported military. It also forecasts a radical change in Egypt’s direction, as Trumpet staff writer Anthony Chibarirwe outlined today. It says that all these events are stepping-stones toward an even wider and more destructive conflict. But most importantly, it says they are stepping-stones on the road to the return of Jesus Christ. So keep watching Algeria. And to understand this road map of the future, read Mr. Flurry’s free booklet The King of the South. It will help you prove exactly what the prophecy in Daniel 11 refers to. It will show you how much of this prophecy has already been fulfilled. And it will show the hope behind the headlines from a part of the world that often generates so much bad news.